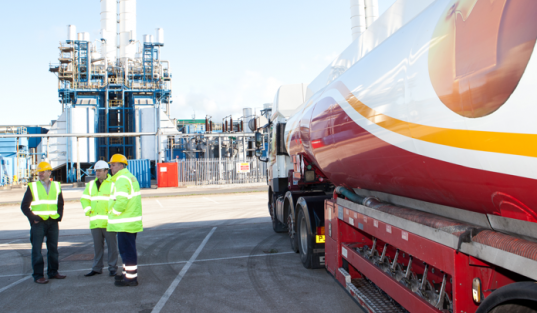 Do you need red diesel delivered to Hull? Call Crown Oil today! We are red diesel suppliers in Hull and we can also deliver any type of fuel anywhere in the United Kingdom. As red diesel suppliers for over 65 years, we have experience in the gas oil industry. We supply fuel to companies all over the country ranging from construction sites and factories to schools, hospitals and farms. We have customers in every business sector and they are satisfied with the reliable service we offer. Call us on 0845 313 0845 to arrange your bulk or barrel red diesel delivery. Even if it’s needed same-day or next day. Our fuel specialists are always here to help. The majestic city of Hull is actually named ‘Kingston upon Hull’ but is more commonly known by its’ shortened name. Hull is situated in the rolling hills and valleys of Yorkshire and is only 25 miles inland from the North Sea. Hull city has recently undergone a massive regeneration programme to permit the city to establish a more vibrant outlook from the fresh waves of tourism that has boosted the city. The port of Hull was once the centre of trade for this part of England and was used for military goods as well as a fishing and whaling port. Being so close to the freezing and hostile waters of the North Sea, Hull city and the surrounding areas bare the brunt of the freezing temperatures from Eastern Europe. Extortionate gas and electricity prices dramatically increase the average home’s annual heating costs. Red diesel Hull offers an alternative solution to heating the home with minimum costs. Red diesel as a heating fuel is significantly cheaper than gas or electricity and does not attract the colossal amount of tax that normal engine diesel does. The economical red diesel is easily stored in simple external red diesel storage tanks and automatically pumped to the inexpensive red diesel boilers. Red diesel, also known as fuel oil, provides a high heat output whilst maintaining the fuel’s economical value. Red diesel suppliers in Hull will offer individuals advice on red diesel equipment and red diesel boilers and may assist with installations. Diesel suppliers acknowledge the simplicity and economic value that red diesel fuel offers all residential and commercial properties. Diesel suppliers can arrange same day or next day deliveries to ensure a constant supply of heat through the colder months. Installation of red diesel heating equipment for commercial use will provide adequate heating for all staff whilst reducing energy costs producing a more agreeable bank account statement.